This New York City public workshop is specifically designed for leaders who recognise the need to improve the way they communicate and engage with people. 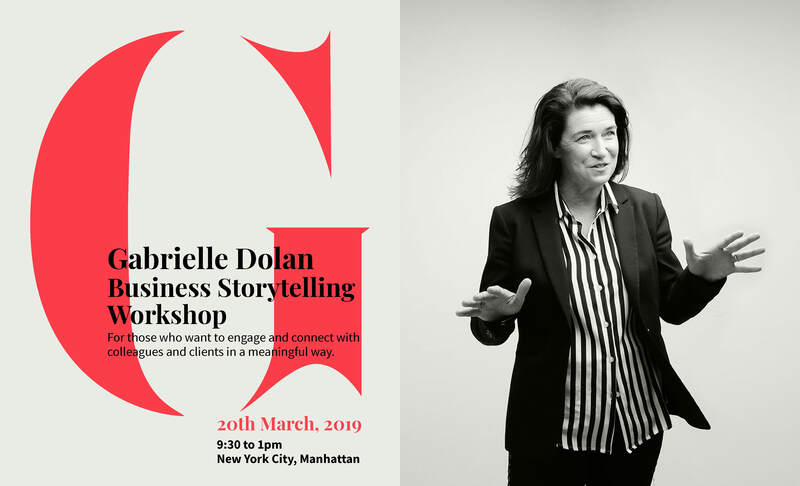 Gabrielle Dolan will challenge your fundamental assumptions around storytelling and communicating in business today. She provides participants with the tools, perspectives and frameworks needed to successfully use stories in business. Understand the various storytelling styles in business. Explore what makes a story a story. Discover the difference between traditional storytelling and business storytelling. Learn how to construct, structure and deliver a story. Develop stories that engage and inspire individuals and teams. Gain a framework that will help you generate purposeful stories in the future. Discuss the various applications of storytelling in business. The workshop also includes a 90-Day follow up program consisting of a weekly email containing a short (1-2min) video to help participants consolidate and integrate their learning. Purchase your ticket via the link below.